Pad, Screen & Digital printing or Branding on a contract basis is what PALPROM SA is all about. Screen, Pad & Digital printing directly on product are branding / marketing methods widely used by many businesses around the world. These branding methods also represent the alternative to product labeling quite often. Our company is South African and based in Johannesburg. We are dedicated to offering you high quality and affordable pad, screen & digital printing solutions. 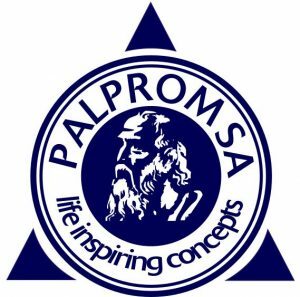 If you are a manufacturer, a promotional company / marketing related agency or simply someone who needs a product or a component branded and you are based anywhere in Africa…come to PALPROM SA. Whether the total amount of units you need to brand is just one or a couple of hundreds of thousands, PALPROM SA could be your answer. If you are annoyed by the amount of different labels your product range requires or the amount of people you need to engage, in order to apply these labels, consider industrial pad, screen or digital printing. Let us examine your products and propose our affordable, reliable, durable & labour free alternative to labeling. If you are already branding your products using direct print (pad, screen, digital printing, foiling or hot stamping) but your printing agent is not really committed to your business due to your small runs or the complexity of your designs, consider giving us a call. We do not operate like our competitors do. We will handle your business, having quality and service as our main guiding principles and although we welcome both big and small runs, we prioritise our business on a “first come – first serve” basis. We make use of fully automatic as well as semi-automatic pad, screen & digital printing machines and we can offer high volume of imprints as well as great production flexibility. Our experience as well as investment in technology is what gives you, the customer, the best possible quality of print at a market related price and within fast turn around time. We offer printing with water, solvent as well as UV inks. Due to all of the above reasons, we seem to be enjoying an extremely loyal customer base. Print on BOTTLES – Print on BOTTLE CAPS – Print on MEDICAL CONTAINERS – Print on COMPONENTS – Print on INSTRUMENTS, Print on PENS & PENCILS, Print on MUGS, Print on JARS, Print on BALLS, Print on GOLF BALLS, Print on TEXTILE, Print on WOOD, Print on METAL, Print on ALUMINIUM, Print on TEXTILE, Print on PLASTIC, Print on GLASS, Print on LEATHER, Print on PROMOTIONAL items! You are in the right place, if you are looking for a 100% SOUTH AFRICAN company that guarantees: FAST turn around timing, RELIABILITY of supply, AGGRESSIVE pricing and UN-COMPROMISED CUSTOMER SERVICE.